Give us a call today at Orchard Realty. Our friendly staff will make you feel truly at home in Julian, CA. We make buying or selling your home easier than you ever thought it could be. "Since joining the Julian real estate agency in 2012, Allison has demonstrated an impressive sales record with Orchard Realty. A masters graduate from UCLA, Allison’s strong research expertise and knowledge as a rental property manager and owner are invaluable to her real estate clients." If we were to buy or sell a property in Julian I would only use Deborah as an agent. A professional in the real-estate field could not better represent you than Deborah Kerch. We liked Deborah from day one, liked that she gave us the same attention as her more lucrative clients, and liked the fact she was willing to go to bat for us when we made an offer. We would work with her again, in a heartbeat and would enthusiastically recommend Deborah after she bent over backwards to help us. Anyone would be lucky to have you as their agent. Wishing you all the best. I found your weekly advertising most helpful. Excellent and professional representation. You knowing the “Do’s and Don’ts” about selling our home was most helpful to us. Miss your smiling and Positive Attitude. Deborah, I loved everything you did for us you went beyond and above your job. We were dealing with unknown territory with our property. You also helped us through the short sale caused by the recession. We found you most helpful through your communication, thoroughness and dedication in a very difficult owner/seller situation. Excellent all around service – Deborah Kerch is professional, knowledgeable and Fast response. Deborah Kerch, your personal and professional skills were put to the test, and you came out in flying colors. You were a life-saver on so many levels. Wish you much success. Deborah, your availability and clear explanations to all of your questions is what we found most helpful. Yes! Yes! We would refer Deborah to our friends and family she was professional, friendly, clear, explanation as to the process. Deborah, you did a wonderful job and always made certain we were comfortable in all of the transaction. Yes, we would refer you to our friends and family, you are a committed agent and made everything fair in our working relationship. eborah Kerch, You were forthright – we felt great! – “In Good Hands!” at all times. We really appreciated you checking out “The Family Trust” for us. It was a BIG HELP! Put our minds at ease. Deborah not only assisted us in selling our home, but she also assisted us in buying another home. Deborah was a joy to work with and her to know. Her history as a Realtor® in Julian was priceless asset. Her advice on improvements to assist in selling and staging was what helped sell our house more quickly and get the asking price. Deborah Kerch provided excellence in all her services. Thank you for all your Help and Promptness. Deborah Kerch is an excellent communicator, through with lovely attributes. Find your perfect country home. Explore Julian’s rich history and culture. 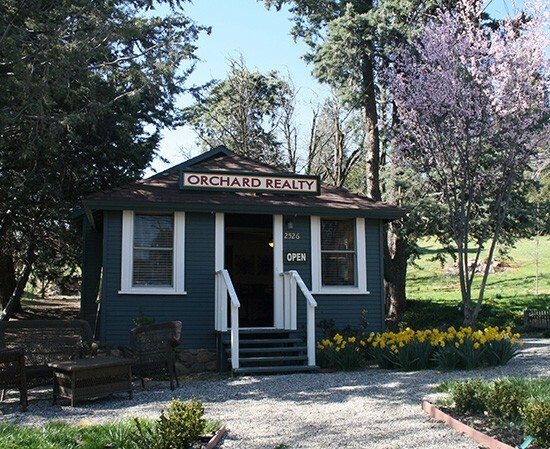 Orchard Realty delivers comprehensive, professional real estate services in the quaint and beautiful area of Julian, California. As more people seek to escape the frenzied life of California’s major cities and live in more rural, picturesque areas, the popularity of Julian real estate has increased. Many of Julian’s homes enjoy spectacular vistas, and a feeling of being close to nature coupled with a relaxing pace of life. It’s no surprise that many retirees and families are moving here. We invite you to come and explore Julian’s lifestyle and some of the homes and land in the area. Our friendly real estate agents are here to assist you in your search for the perfect home! Living in Southern California has its pros and cons. As home to cities that so many people would like to live in, we must suffer the consequences of overcrowding, congested traffic and a very high cost of living. Competition for desirable locations is intense. In this respect Julian offers so many advantages. We live within driving distance of mountains, lakes, beaches forests and deserts. Yet housing prices are some of the lowest you’ll find in San Diego County. And less time wasted driving in congested traffic means more time for the friends, family and the pastimes you love. At Orchard Realty, we understand the importance of keeping abreast of the changes and shifts in the Julian real estate market. It’s a constant challenge that we take seriously. Using current data and tracking real estate trends, we keep our fingers on the pulse and use our knowledge to carefully lead our clients. We’re proud of our ability to ensure our sellers attain the best return with the minimum of hassle while our buyers are thoroughly informed as they are guided through the process of buying a home. For most of us, buying a home is one of the greatest lifetime investments we make. Knowing how to find great value in Julian Real Estate is just as important as satisfying all of your lifestyle wants and needs. With such a plethora of information available on-line it can be difficult knowing where to start. And with so many pitfalls, how do you avoid ending up with a dud? We enjoy advising and protecting our buyers, each step along the way. Our team is available for questions and advice. Knowing we’ve got your back is a great comfort to our buyers and makes the process less stressful. When it comes time to sell your prized asset, you want to ensure you sell at the maximum price the current market will handle. But there’s often a fine line between languishing on the market and selling at the right time and at the right price. At Orchard Realty we know how to optimally position your property at the best price point so that you minimize time to sell while attaining top dollar. No doubt, you’ll also want an agent who you know will be pro-actively marketing your property rather than sitting by the phone waiting for a call. Contact us today to get an estimate on the value of your home at (760)-765-1000.